CITY AFFAIRS: Berkeley City Council's pace so far on creating cannabis regulations has been slow. Recreational weed is lighting up in California come Jan. 1, but a haze has settled between city officials and the necessary new wave of regulations. 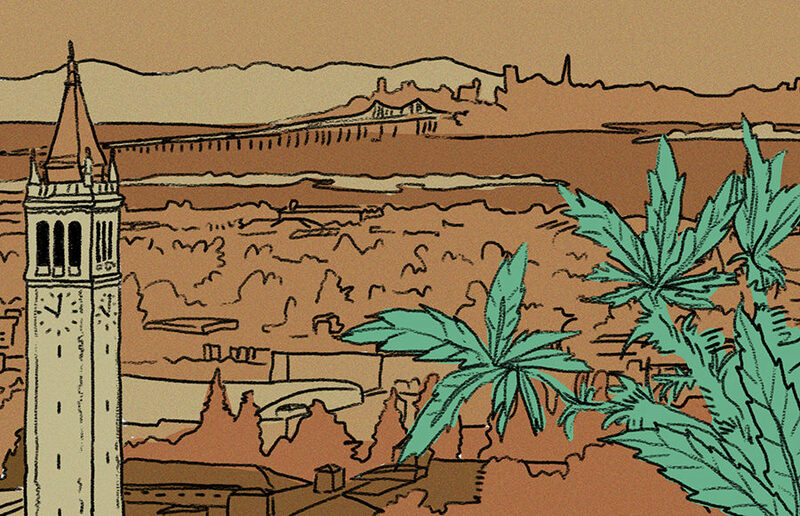 Berkeley has long been progressive in its medical cannabis health and safety regulations, geographically close to other trailblazing cities such as Oakland. And now, it’s on Berkeley to set comprehensive, equitable standards for the business and consumption of pot to serve as a model for the rest of California. With the passage of Prop. 64 last November, the state has given the keys to local bodies when it comes to creating regulations. Since then, cities have reacted one of two ways: rushing to make themselves weed-friendly or discouraging the canna-business altogether. If Berkeley City Council’s pace so far is any indicator for how rules will be hashed out in the spring, we will be sorely disappointed. The council must formalize more official resources to advocate for comprehensive standards — and quickly, if it hopes to be at the forefront of equitable weed policy. For example, Sacramento has already hired its first commercial “cannabis czar” — a full-time staff member with an office dedicated to cannabis policy and enforcement. Berkeley has dragged its feet on marijuana regulations for years. Efforts that began in 2014 to pass a holistic cultivation licensing processes continue to be discussed today. And the current permitting process for businesses to sell medical cannabis is slow, often taking well over a year. We don’t need — and cannot stand — a repeat of that with recreational marijuana. The racist history of drug laws and policies in the United States continues to echo today. Going forward, it is imperative that as regulations are considered, the city actively makes space for people of color, particularly those who have been formerly incarcerated in this industry. To not do this ruins a major point of legalization. Berkeley must look to other cities to fill some of its gaps. Oakland has a robust, formalized equity program, by which at least half of all new pot business licences must go to either low-income applicants who have been convicted of a marijuana-related crime in Oakland or applicants who have lived 10 of the past 20 years in a neighborhood with a high rate of marijuana arrests. Now, the city’s cannabis commission plans to provide City Council with a set of recommendations Jan. 18. But Charles Pappas, the chair of the commission, argues that the city manager and planning staff, which provide support for the commission’s efforts to create recommendations, continue to prolong the process. When the council receives recommendations, it needs to move fast. Granted, Berkeley is one of the few cities that have approved temporary regulations to allow already-permitted medical dispensaries to sell recreational weed starting Jan. 1. San Francisco will start Jan. 5, and Oakland is still in limbo. Still, these are temporary regulations. Will it look to strengthen in-progress state regulations on pesticides and mold that could be potentially too lenient? How will Berkeley maintain transparency with residents as it starts to make all of these changes? The answers to all these questions will require far more time, energy and resources from Berkeley than it has invested thus far. City Council members must make a joint effort to ensure the creation of new laws that are comprehensive in scope, with equity and accessibility in mind.